Rotary members worked hard presenting auction items at the 2017 Rotary Auction. On right, Rotary member and NACTV volunteer Ivan Traill is on camera. Bidders, get ready for the 18th annual live TV auction on NACTV. This year, the event is airing on Thursday, Nov. 15, beginning at 6:00pm. Rotary will auction off hundreds of prizes during this major fundraiser to raise money for the different projects within the community and internationally that the club supports. “Our proceeds will also go towards funding other local and international projects such as Peer Helpers at NACI; Ripple Effect, for building schools in rural Guatemala; Polio Plus, who aims to eradicate polio in the world; and Shelterbelt for providing relief for victims of natural disasters throughout the world,” Nordstrom added. All the auction items are donations from businesses in the Neepawa area. The prizes include big ticket items as well as some smaller articles to suit every budget. “Local businesses have been generous in donating items for the Rotary Auction. Gill & Schmall has provided a $1,600 travel voucher [in partnership with Harris Pharmacy, John’s Electric and Hylife], Century 21 has donated a $1,500 accommodation voucher, Neepawa Gladstone Co-op has donated $1,000 of fuel and Stella Jones has donated a $750 credit for treated wood product,” Nordstrom listed. 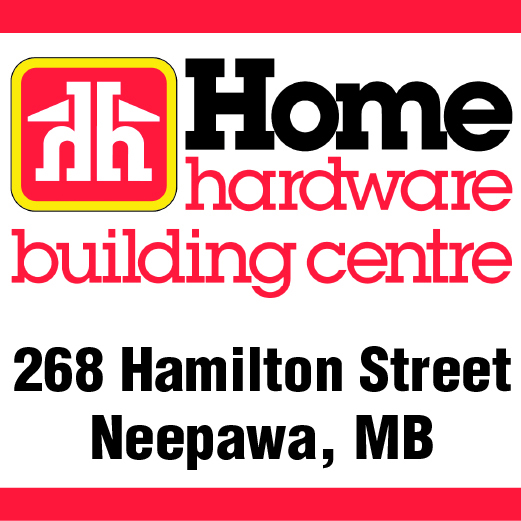 “We also have concrete from Rolling Acres, advertising credit from Neepawa Banner, a cabinet from This N’ That Manufacturing, a barbecue from Home Hardware and Thomas Window & Glass and over 200 other items.” A full list of available items can be found on page A20 of this week’s paper. There are a number of ways for people to watch and bid during the event. “The auction will take place at the NACTV studio in Neepawa and Art & Soul Artisan’s Loft,” Nordstrom explained. The NACTV studio and Art & Soul are housed in the same building at 423 Mountain Avenue. “Although there is little room for an audience at the venue, the auction will be live on NACTV on Bell ExpressVu 592, MTS channel 30 or Cable channel 12. It will also be streamed live on the Internet at https://nactv.tv/live/,” continued Nordstrom. “If you don’t get NACTV on your television package and technology baffles you, come down to the studio, have a coffee and make your bids on location, where you can see the hive of activity that goes on behind the camera.” Bidding off-site can be done over the phone either by calling 204-476-2639 and 204-476-0355 or by texting 204-476-6214 and 204-476-0420. The auction is the Rotary Club’s main fundraiser for the year and the proceeds from the sales are the bulk of the club’s funds which they donate to the different projects. “The Rotary Club of Neepawa wants to thank local businesses for their generous support and to the public for participating in our auction every year,” Nordstrom concluded.